ShopBack is en-route to winning the cashback game, and the Singapore company is set to dominate SEA. The company announced today a successful funding of US$25m (S$34m), bringing their total funding to US$40m (S$54m). Leading the funding was Credit Saison with other investors including SoftBank Ventures Korea, Singtel Innov8, Qualgro, East Ventures, Blue Sky, AppWorks, Intouch Holdings PLC, Aetius Capital and 33 Capital. The latest funding will be “used to drive three key areas – acquiring world-class talent, launching new product features and establishing market leadership”. Since its launch in 2014, the startup has branched into 6 countries with more than 3.5 million users. Working with 1,300 merchants, they power over 1,000 transactions per hour with annualised sales figures of over S$408m. 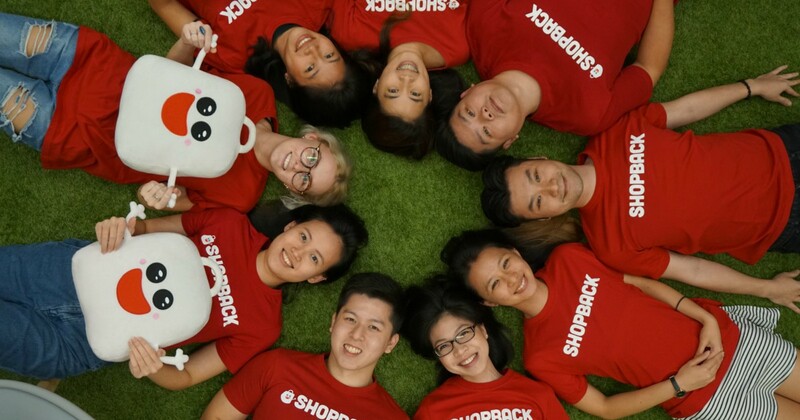 “Cashback served as the cornerstone for ShopBack’s establishment in Singapore and laid the foundation for us to build smarter shopping solutions,” said CEO and co-founder Henry Chan. For Grab, Uber etc, riders can see at a glance the cheapest rides and promotions without having to switch apps. The credit card comparison also helps consumers with credit card sign-ups choices. Meanwhile they also launched the YES Fest from Nov to Dec to help consumers enjoy cashback from both offline and online shopping. We strive to become the one-stop shopping and lifestyle portal for consumers in the Asia Pacific. “ShopBack’s business model builds on the explosive growth of e-commerce in the Asia Pacific […] leveraging on user insights and developing smarter shopping solutions,” said Sean Lee, partner of SoftBank Ventures Korea. “Maintaining razor sharp focus on delivering world-class products for consumers will always take the centre stage,” Vincent Wong, Country Head for ShopBack Singapore shares. We may [have] a little more resources now but we need to remain prudent and move quickly. The industry moves at a dizzying pace and the crux of survival lies in innovation.